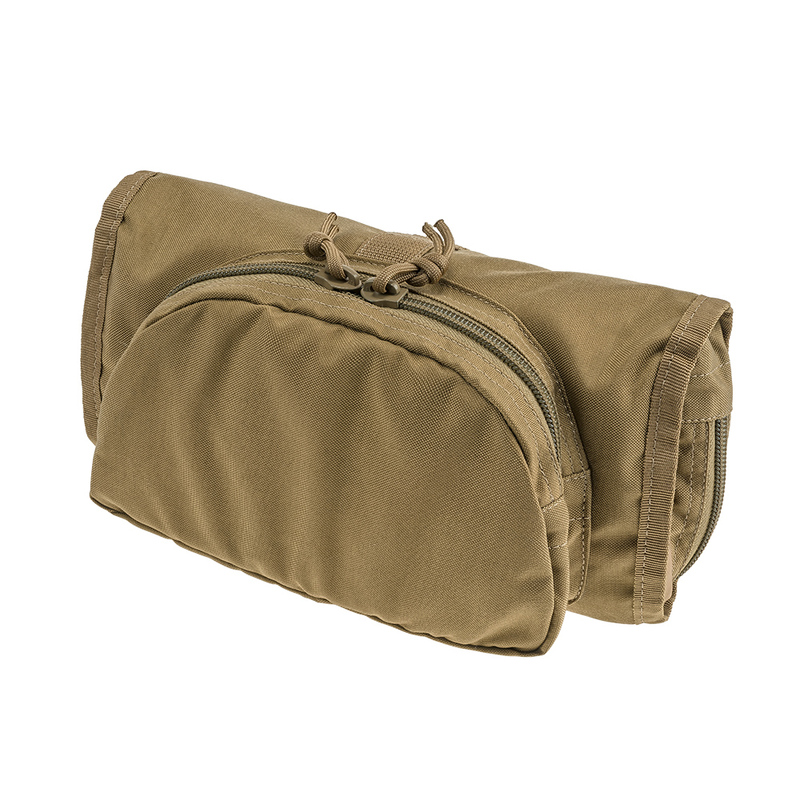 The bag for personal Coyote hygiene items VELMET is a practical accessory for the compact placement of toiletries and hygiene products, other necessary items. The model presented in the present case is available for order in the online shop Velmet.ua provides the maximum convenience of placement and transportation of personal care items. 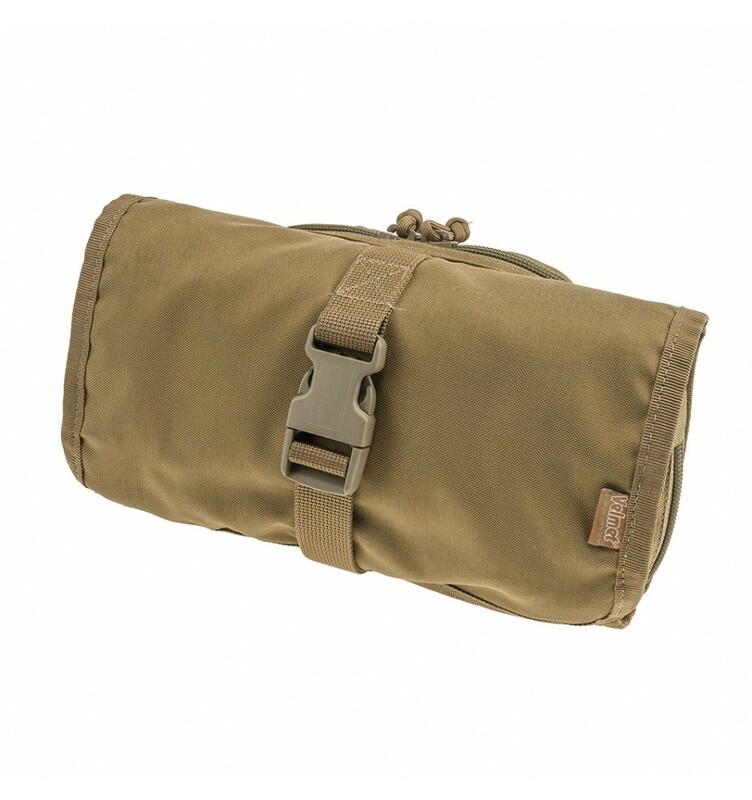 When folded, the bag has a compact size that allows you to always have on hand necessary things for the purpose and do not clutter the interior of the tactical backpack, travel bag. Inside the bag for items of personal hygiene there are enough pockets of different types and sizes. The accessory from the Ukrainian brand VELMET meets the requirements of the most demanding consumers! 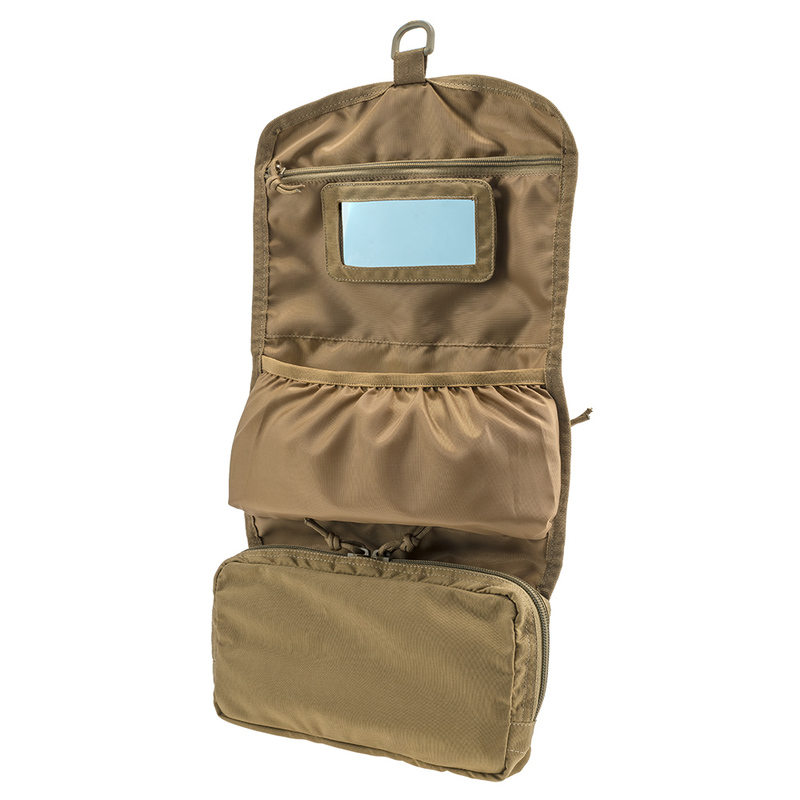 • 1 internal volumetric pocket; closes on a reliable zipper; in the lower part there is a drainage hole. • 1 inner open pocket of open type, the upper part of which is tightened with a sewn elastic band. • 1 internal pocket, closes on zipper. 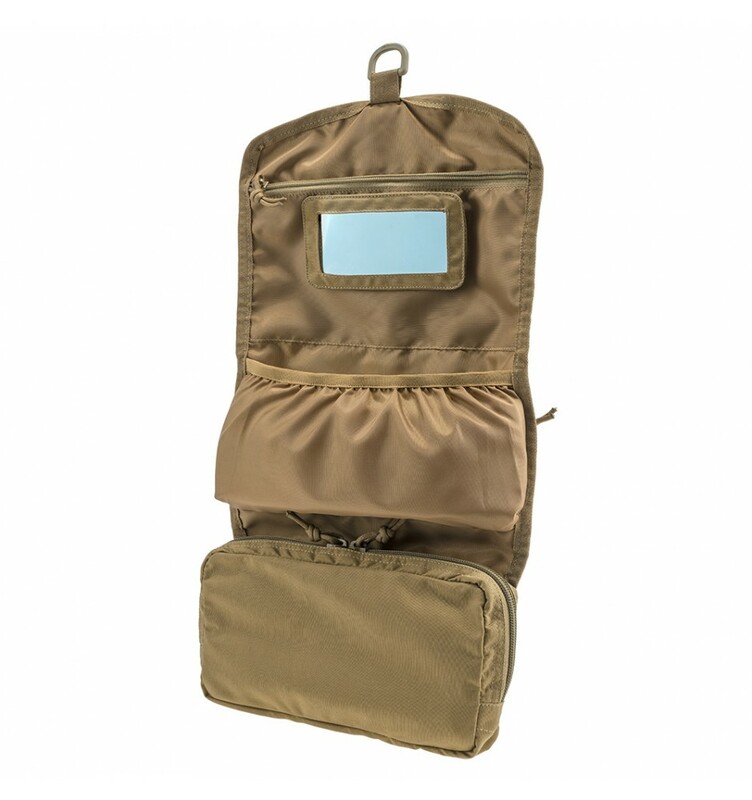 • Rectangular shaped mirror (size, cm - 13 x 6) inside the bag for personal care products; is placed in a textile frame that is securely attached to the inside of the product. 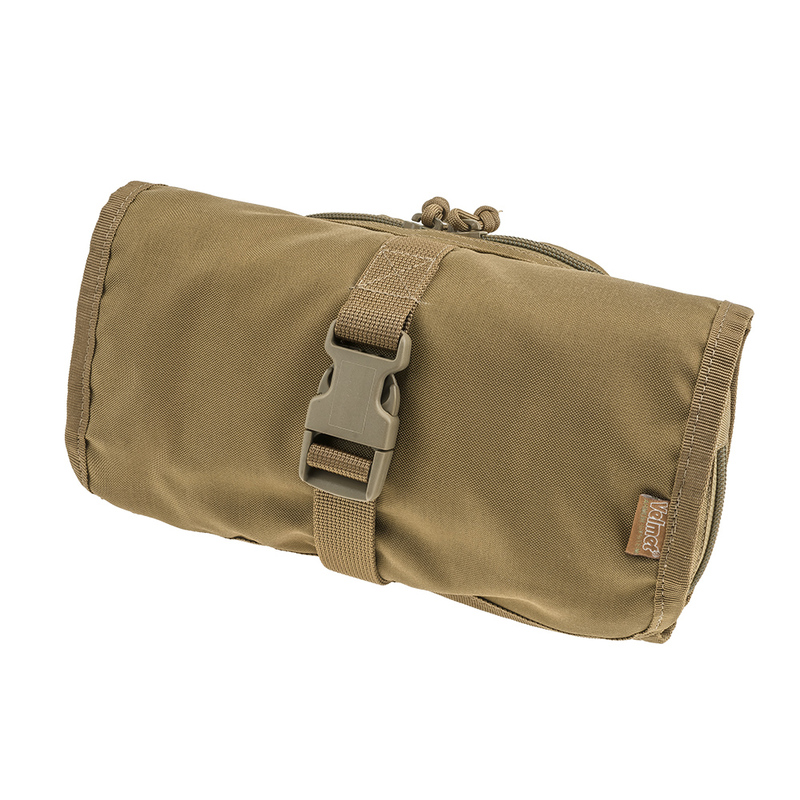 • 1 volumetric pocket of the overhead type on the outer rear panel; closes on the zipper with two sliders. • A plastic ring is provided at the top of the bag for convenient attachment of the accessory in the unfolded position to the vertical surfaces. • When folded, the toilet bag is secured using a compression nylon sling with a buckle of the FASTEX type. • Additional processing of materials - DWR (prevents impregnation of bag material for personal hygiene products with moisture, oily substances). • Linear dimensions of the product: in the closed position (W / H, см) - 25 х 15; in the open vertical position (L, cm) - 53. • Weight, g - 260.